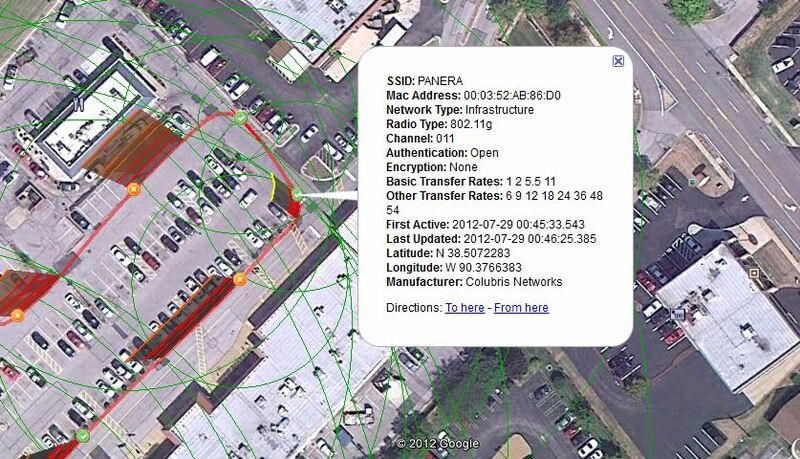 Vistumbler is an excellent free tool that scans for nearby wireless networks within range of your wi-fi adapter. Once Vistumbler finds a wireless network it will display the networks SSID, signal strength, encryption being used, mac address, the networks channel, access point manufacturer, and much more. If you download and install the Google Earth application and have a GPS device you can use the most advanced feature of the program. You will be able to map the nearby wireless networks Vistumbler finds onto a map of Google Earth. Below are the steps to install the necessary programs and how to configure them and a GPS unit to capture the networks and place them onto a Google Earth map. Vistumbler will only run on Windows Vista and Windows 7. Windows XP users will need to check out a similar scanning program called Netstumbler. 2. Download and install Google Earth. http://www.google.com/earth/index.html. 3. Open the Vistumbler program and configure it to work with the on board wireless adapter. Disable any third-party wireless configuration utilities and disconnect from any wireless networks you are connected to. 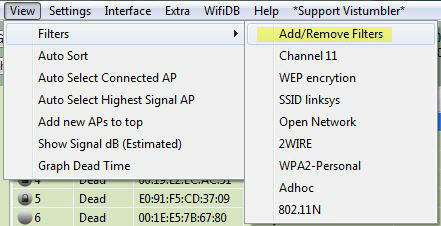 Click the Interface menu option and from the list of available interfaces select your wireless adapter. One nice thing about Vistumbler is it works with a wide variety of adapters including USB wireless adapters. As seen below a USB adapter is plugged into the laptop and is listed as one of the available interfaces. 4. Plug the USB GPS unit into the laptop. For this tutorial I’m using a Globalsat BU-353 mouse receiver unit. A Globalsat BU-353 USB GPS unit can be purchased on Ebay or Amazon for 30 to 35 dollars. Install the drivers that come with the Globalsat GPS unit and run the GPS utility that also came with it to first establish the current GPS position. 5. Right click on the My Computer desktop icon and select Properties from the pop up menu, then select Device Manager and expand the Ports section. Verify the COM port that the Prolific USB-to-Serial Comm Port is assigned. This is the port that the Globalsat BU-353 GPS unit is using and it will need to be set in the Vistumbler program. 6. Go back to Vistumbler and click on the Settings menu option and select GPS Settings. 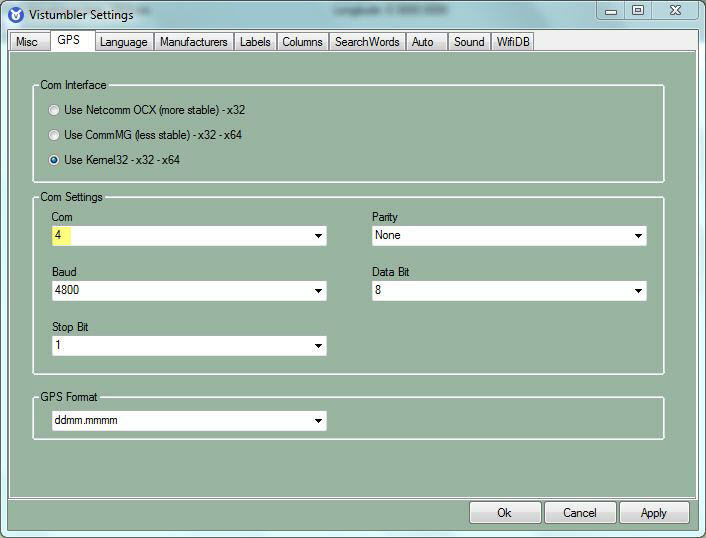 In the Com settings select the port number that was found in the step 5. The rest of the default settings can be accepted. 7. Click Settings again and select Auto KML/Auto Sort. Adjust the path to your Google Earth installation. An optional setting is to check the Automatically Open KML Network Link box. This setting will open Google Earth showing real-time visualization while a scan is in progress. 8. With everything setup and in place it is time to start the scan. On the main screen for Vistumbler hit the Scan APs and the Use GPS buttons. 9. The Vistumbler window will start filling up with the wireless networks it finds. If the GPS is working correctly the Latitude and Longitude fields will be filled in with coordinates (not shown in the screen shot below, verify with your own scanning). 10. 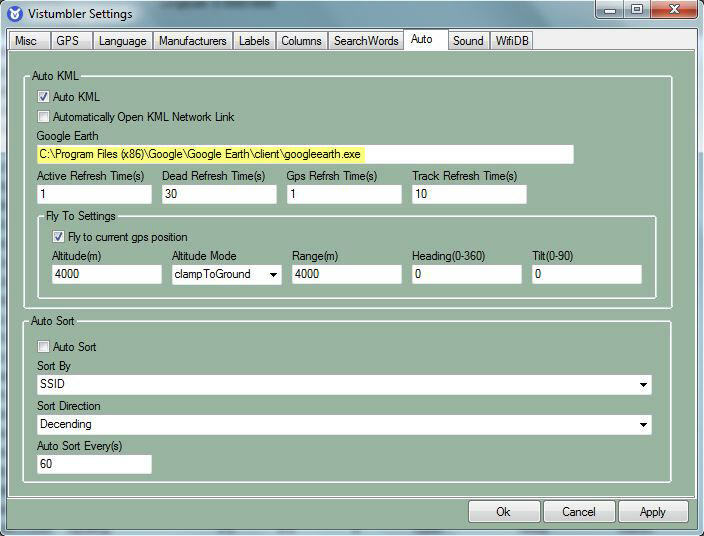 If Google Earth was not set up to open automatically (see step 7) when scanning click on the Extra menu option and select Open KML NetworkLink. 11. When done scanning click the Stop and Stop GPS buttons. 12. Another nice feature of Vistumbler is any number of filters can be set up and applied to live scans or saved scans. Select the View menu option and select Filters, and then Add/Remove Filters to open the filter designer window. Any saved filter will be listed below the Add/Remove Filters option and can be turned on or off by clicking on the filter name in the list. 13. Save the scan to a Vistumbler VSZ file format. Click the File menu option and select Export to VSZ, and then select All APs. 14. Export the scan results to a Google Maps KML file. Click the File menu option and select Export to KML, and then select All APs. 15. Open the Google Maps program and load the exported KML file. Select File and Open and browse to the KML file exported in step 14 from Vistumbler. Networks with no encryption will be shown with a green circle, WEP encrypted networks are orange, and networks utilizing WPA or WPA2 are red. Clicking on a network will display the networks information. With the scanned networks loaded in Google Earth, you can use all the tools available in Google Earth to mark up the scan, and any changes can be saved back to the original KML file. You can transfer the KML file and load it on any OS you have Google Earth installed on. Thanks for reading and happy scanning! Please post any comments or ask any questions you might have about any of the steps listed here or about the Vistumbler program.